Professor William W Pinsky is President and Chief Executive Officer of ECFMG®. He also serves as Chair of the Board of Directors of ECFMG’s Foundation for Advancement of International Medical Education and Research (FAIMER®). A graduate of Saint Louis University School of Medicine, Professor Pinsky trained in Pediatrics at Baylor College of Medicine and completed a postdoctoral fellowship in Pediatric Cardiology at Texas Children’s Hospital. Before joining ECFMG, he was Executive Vice President and Chief Academic Officer of Ochsner Health System (OHS), a large, nonprofit academic health system. Before joining OHS, Professor Pinsky held a number of senior academic and executive roles at Wayne State University School of Medicine in Detroit, and at the Detroit Medical Center. He has held numerous other faculty and hospital appointments. 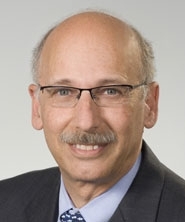 Professor Pinsky served in recent years on the Boards of the Accreditation Council for Graduate Medical Education, the Accreditation Council for Continuing Medical Education, and the Alliance of Independent Academic Medical Centers. He is a Fellow of the American Academy of Pediatrics, the American College of Cardiology, and the American College of Chest Physicians.